So many recipes of sweet pastries from culinary guru contain different by content and rather exotic confitures from fruits and berries, which is not always possible to buy in the store. Offer your attention one of these confitures, the recipe of which I spied in the maria-selyanina LJ. True, I had to replace passion fruit (could not find it!) 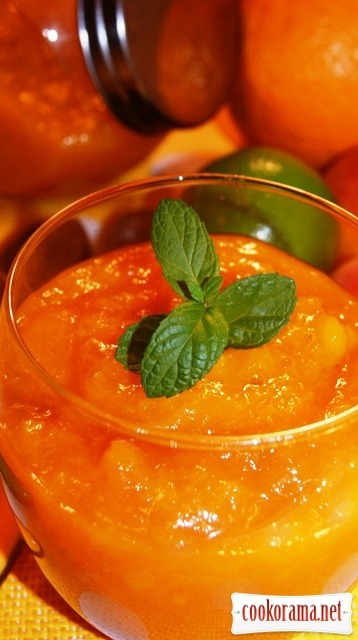 with apricots, change the proportions and add lime, but I am very happy with the result what and I hurry to share it with you! 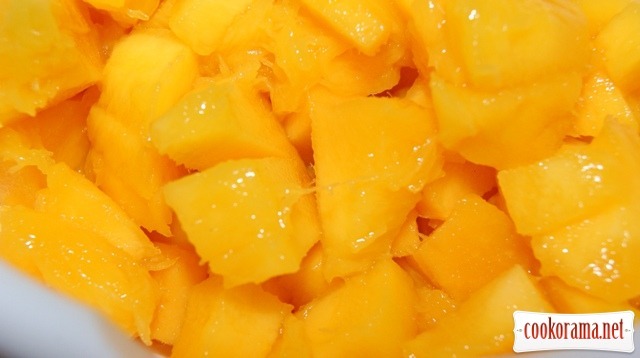 Peel mango and cut into pieces. 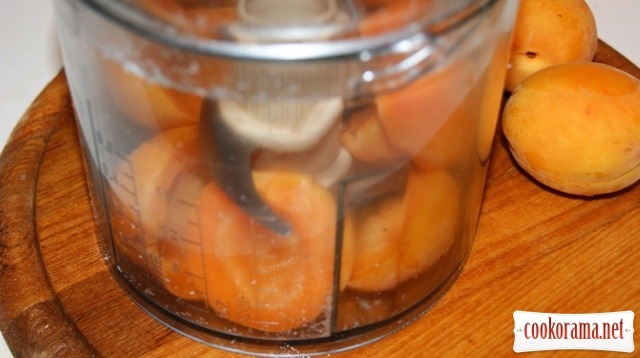 Mash peeled apricots in a blender. 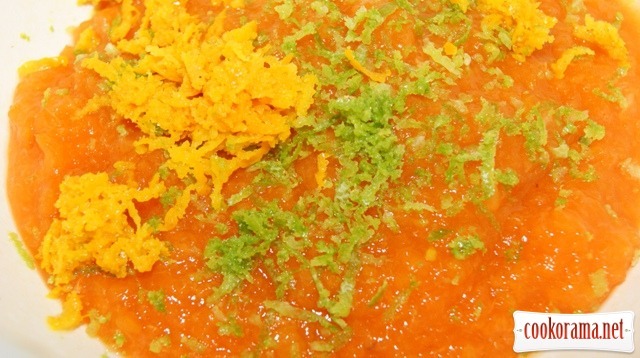 Add lime and orange zest. 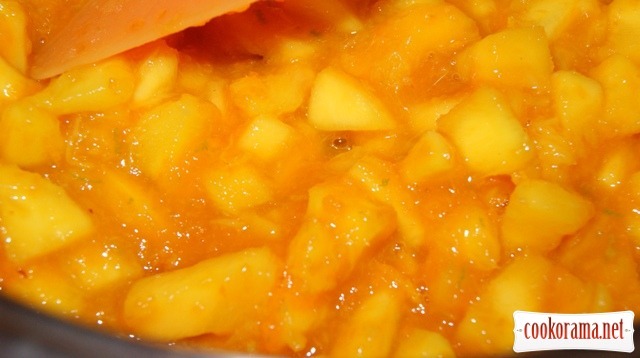 Put mango, apricot puree with zest and half the sugar into a saucepan with a thick bottom. Heat over low heat up to 25℃, constantly stirring. 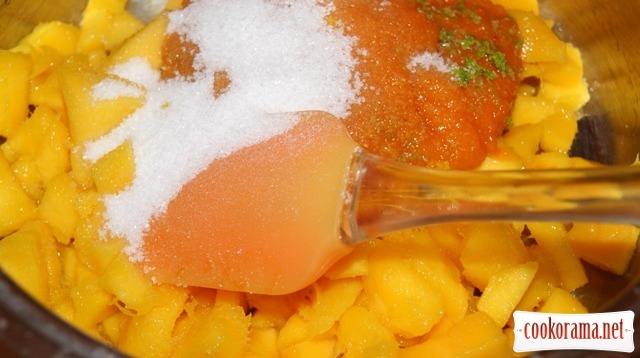 Pour pectin mixed with the remaining sugar. 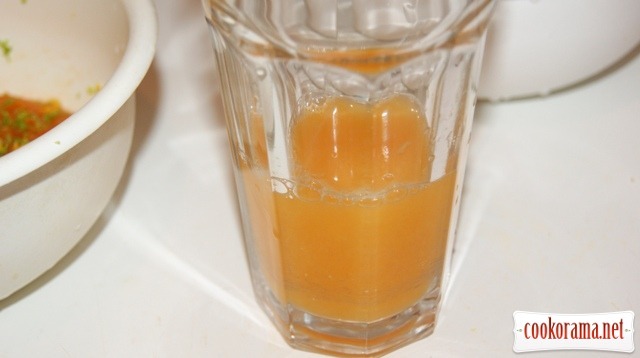 The main thing that the sugar was completely dissolved. Bring to boil and pour 50 ml. 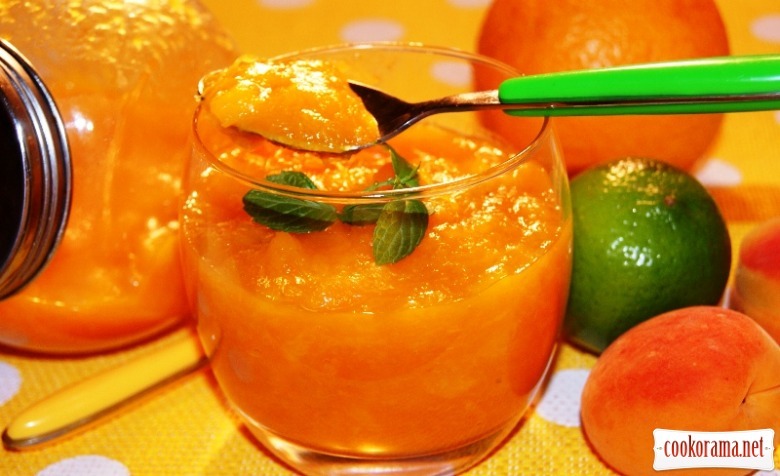 orange and lime juice. 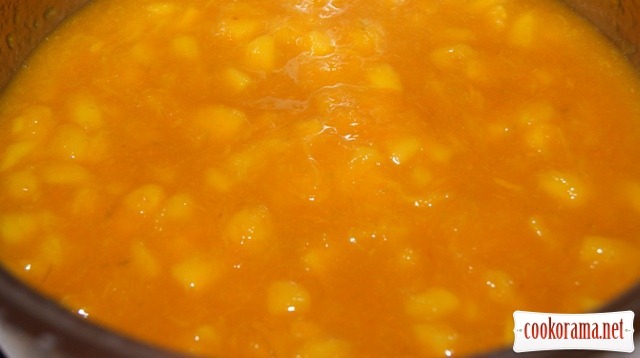 Bring to a boil again, constantly stirring and cook 2-3 minutes. Remove from heat, cool. Store in the refrigerator in a closing glass container. 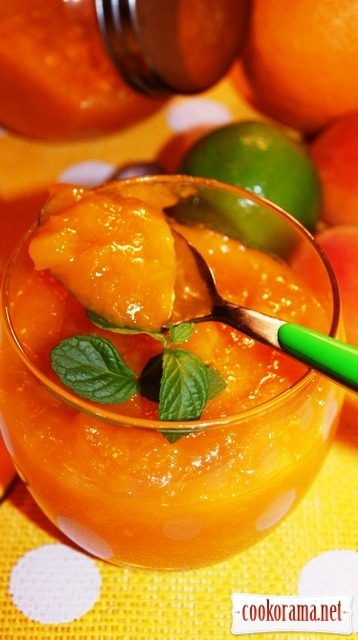 Top of recipe "Mango and apricot confiture for baking"
а главное, сохраняется красивый цвет! спасибо, Леся! Какие сочные и аппетитные фотографии… Ммм! Який сонячний рецептик!!! А аромат аж до мене дістає! далековато от Афин долетел! спасибо! Уже хочу и обязательно сделаю. и тебе, спасибо, за доверие!